BioShock Infinite, I felt, provided closure on the entire series. That closure was fortified with Ken Levine shutting down his studio, Irrational Games. Still, as one of the more popular and best selling franchise of the last generation, 2K games parent Take-Two would be stupid to just give up on the brand. They’re not stupid. 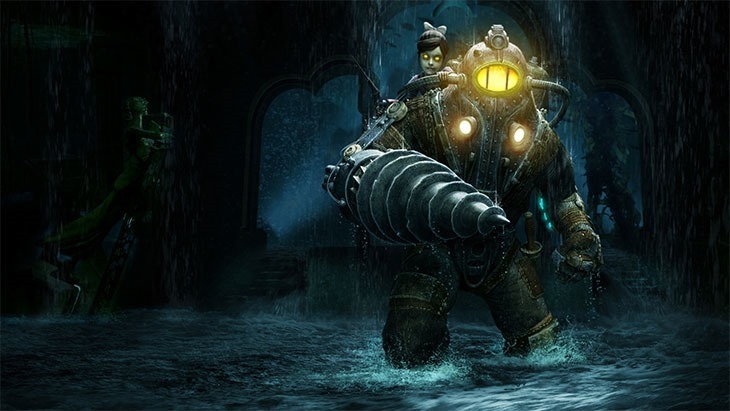 According to Take-Two’s Strauss Zelnick, the future of BioShock will be in 2K Marin’s hands. Asked by Gamespot about the future of the series and its commercial potential. “We haven’t given any color on how you should think about it yet except we do believe it’s beloved; we think it’s important [and] certainly something that we’re focused on; something 2K Marin will be responsible for shepherding going forward. 2K Marin was responsible for BioShock 2, which other than the shoe-horned multiplayer and the recycled setting of Rapture, was actually excellent. It subverted BioShock’s main themes, giving a whole new experience within the same setting. It’s a game that just doesn’t get the respect it deserves. while I’m not sure I want more BioShock, I am certain it’s in the right hands. Unfortunately, BioShock 2’s creative director and the team behind the excellent BioShock 2 DLC Minerva’s Den have left 2K, off to do their own thing. They were essentially the people responsible for Gone Home.